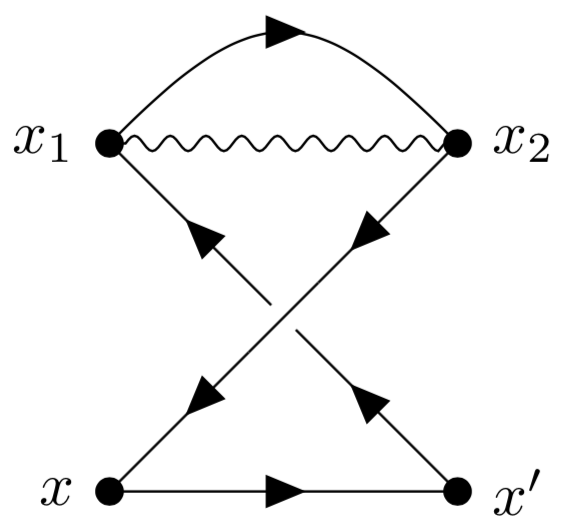 I'm trying to draw the following diagram with the tikz-feynman package. 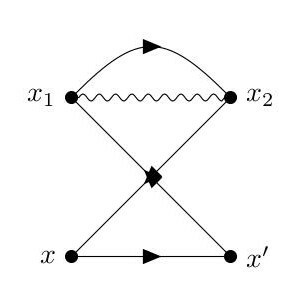 As you can see, the diagram has two fermion lines that intersect right in the middle, where their arrows are drawn. I would like to move the arrows along the fermion lines, so that the two ones don't overlap. How can I do this? I would probably introduce a dummy vertex, also to indicate that the lines do not intersect.